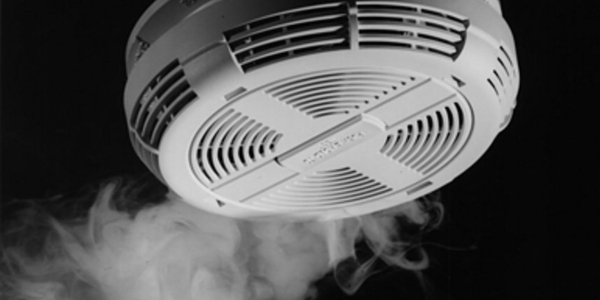 Smoke detectors and smoke alarm systems have been around a long time and have come a long way. There are so many choices now in the range of high quality and reliable systems. The primary guarantee is that smoke detectors save lives. They have additional features such as detecting carbon monoxide or fire but essentially saving lives is their number one job. The two main types of smoke alarms are battery powered or hardwired. Hardwired alarms get connected directly to the electrical system in the home or work place. They will switch to battery in the event of a power outage. This isthe safest system to use as it will always create an alert in the case of fire or smoke. Battery only powered alarms are not as reliable as the owner may not always be aware when the battery has died or depleted. Battery powered smoke alarms are mainly used in old dwellings that have not been fitted for they hard wired option. Should Carbon Monoxide Detecting be Incorporated with all Detectors? Carbon monoxide detecting should definitely be included in every alarm. Carbon monoxide is a highly dangerous odourless gas when breathed in. This type of poisoning is still the cause of up to 300 deaths per year in the UK. Carbon monoxide is usually found in old houses and buildings where the health specs are not up to date or maintained properly. It is usually caused by appliances not operating properly and poor ventilation. Window openers are a very successful combatant of this problem and are highly effective. Symptoms of carbon monoxide poisoning will include headache, dizziness, nausea, fatigue and shortness of breath. Having alarms interconnected is a must when it comes to proper safety controls. It wouldn’t be of much use in the event of a fire to have the alarm sound so far away that the occupant couldn’t hear it. In cases where there may be a fire or smoke on a different floor of the building then having interconnected alarms will save lives. Are Added Features Really Beneficial to Health and Safety? Some smoke alarms come with a medley of added features such as connecting to the owners’ smartphone to send texts about random unrelated news. Others have a feature which sends a beep to the owners’ mobile followed by a voice message. These are all very nice or perhaps a tad irritating but at the end of the day all that’s truly required is a warning of smoke, fire or noxious gases that may cause a severe threat.